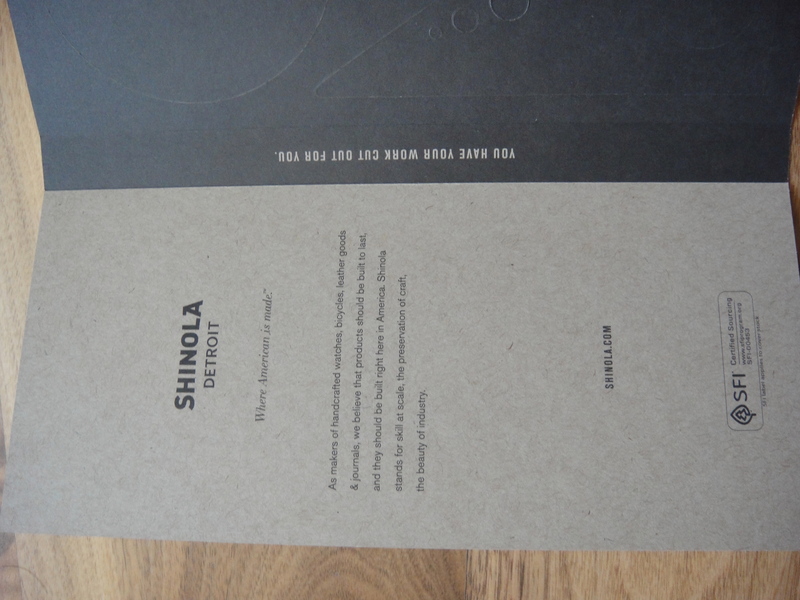 Shinola is a Detroit based company that manufactures high quality American made watches, bicycles, leather products, and journals. 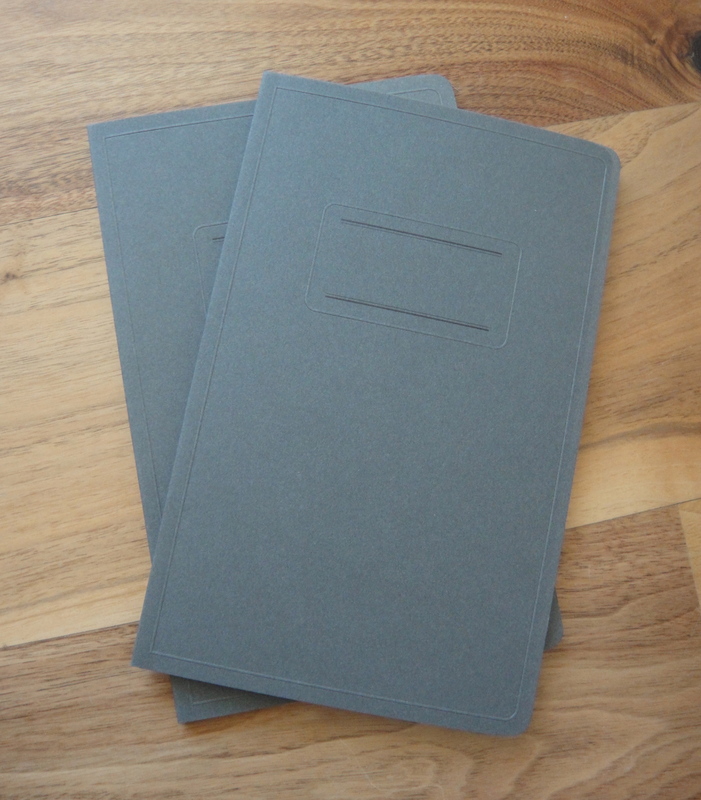 The paper cover journals are sold in packs of two and come in three sizes and in multiple colors. The one I will be reviewing is the middle size measuring 5.25″ x 8.25″. Each notebook contains 144 pages (72 leaves) of blank paper…the cardboard packaging says “ruled paper” so finding blank pages was a bit of a disappointment. The acid free paper is a nice thick 60lb weight and comes from sustainably managed North American forests. 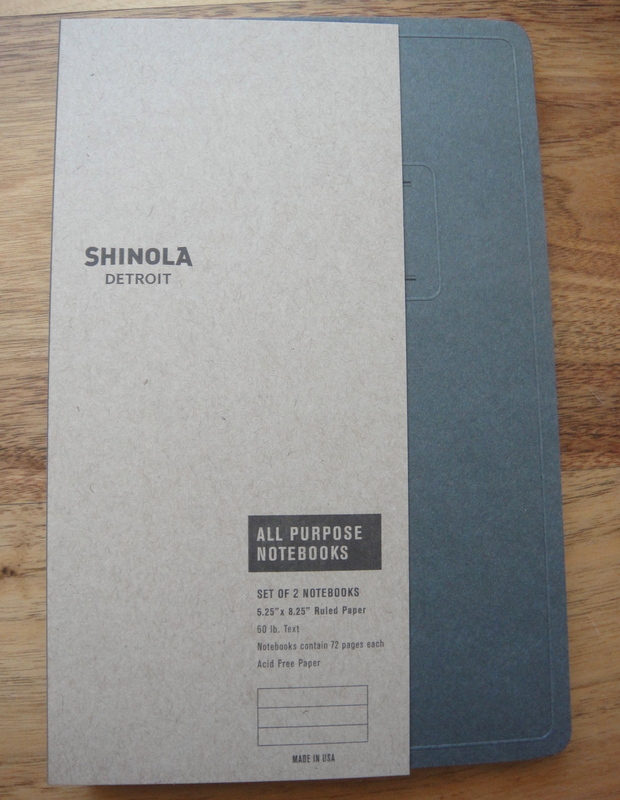 Shinola’s notebooks are made by Edwards Brothers Malloy in Michigan. 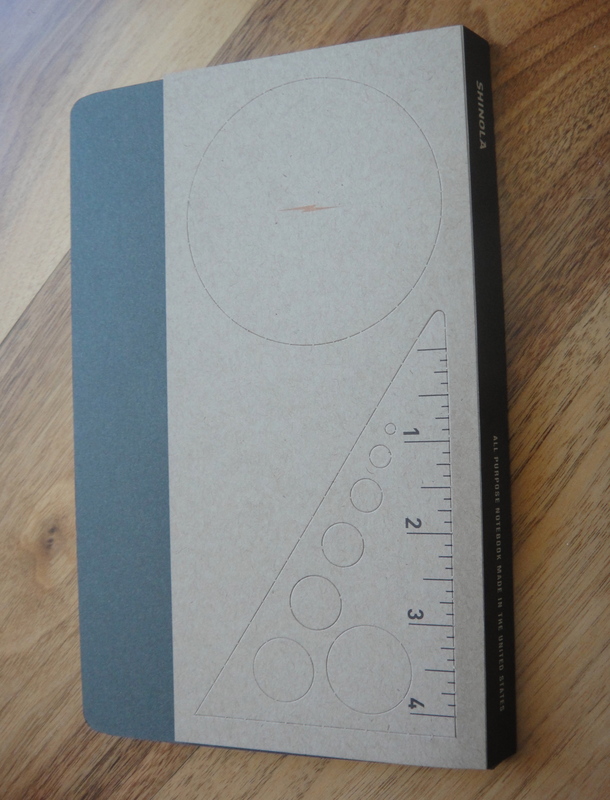 The cardboard packaging features a triangle ruler and a coaster (not sure why anyone would want a cardboard coaster). The notebooks look and feel very nice. 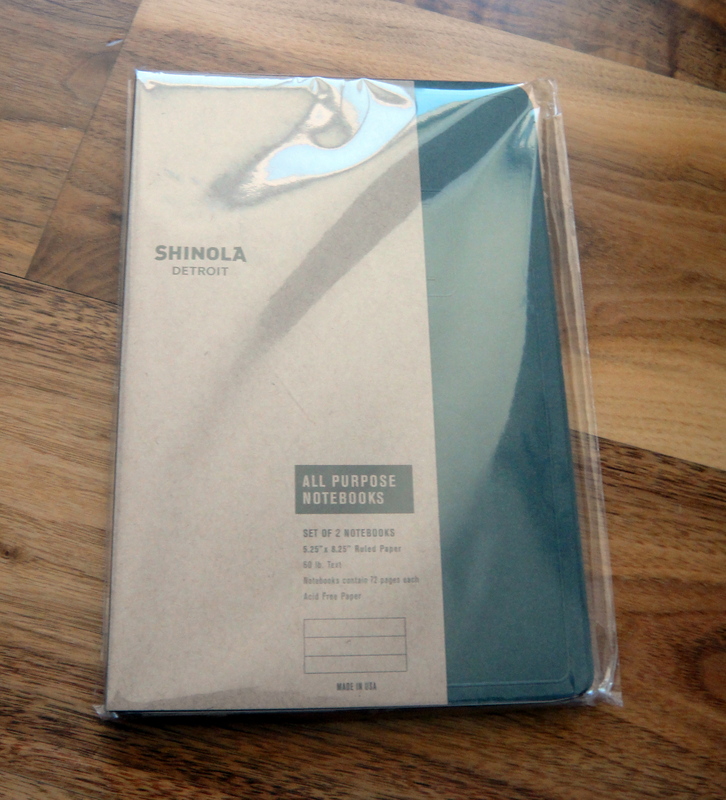 I really like the clean design; there are no markings on the journal apart from “SHINOLA DETROIT” on the back cover. These books do not lay flat and the spine is slightly less flexible than a cloth bound Clairefontaine journal. The paper is very smooth and quite nice to write on. 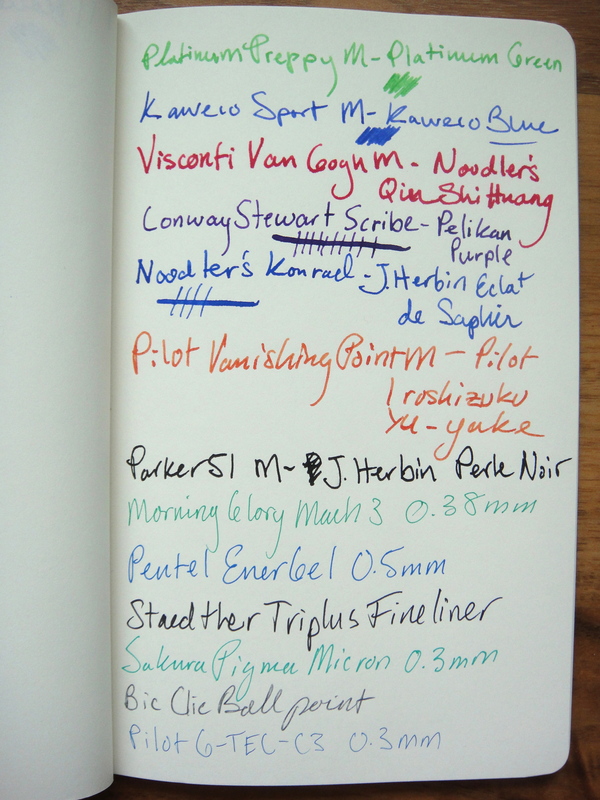 I did notice some feathering with the Noodler’s Qin Shi Huang and J. Herbin Eclat de Saphir. There is bleed through from the Visconti but this particular pen and ink combination causes bleed even in Clairefonatine notebooks. The thick line from my semi-flexible Conway Stewart did not bleed. 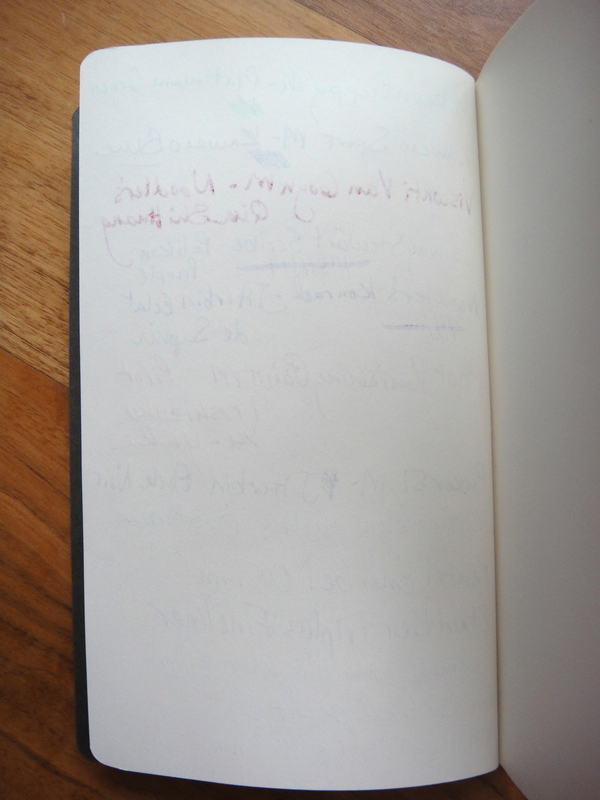 There is some ghosting but it isn’t bad enough to prevent me from writing on the other side of the page. The dry time for this paper is quite fast with most of the inks I tested drying under 10 seconds. Overall I really like these journals and I consider them to be fountain pen friendly. I have been using this journal side by side with a Clairefontaine cloth bound journal and I definitely prefer the Shinola. They run $9 for a two pack which is about the same cost as one similarly sized 192 page Clairefontaine journal. 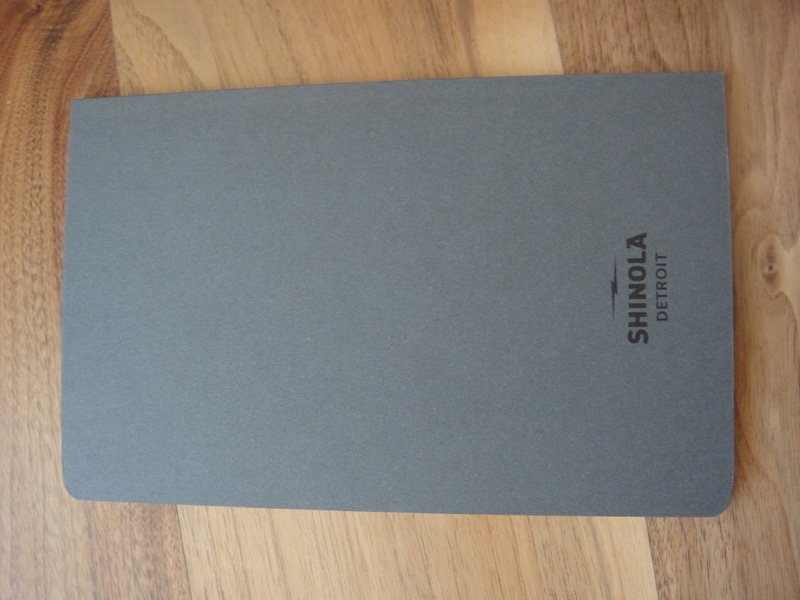 In the future I am going to give Shinola’s more expensive soft and hard linen cover journals a try. Thanks for this review! Did you get an advance copy? I’m seeing this size as not available yet on their website. Looking forward to giving them a try. I was actually walking on the street a couples weeks ago and saw them in the window of a store called Steven Allen so Shinola must be out of stock at the moment. They are great notebooks. Thank you for the reply.